I like to always have the TV on in the background for noise in the house, even when I am reading. I even sleep with the TV on very low, and when it shuts down to update, I 'POP UP' awake! LOL! I do! Noise comforts me, as ODD as that may sound! The Hallmark Channel has been playing Christmas movies 24/7 since November 1st! Yes, it is very early this year for Christmas movies to start on Halloween night, at midnight this year, although I LOVE these movies and I don't mind the change of pace! 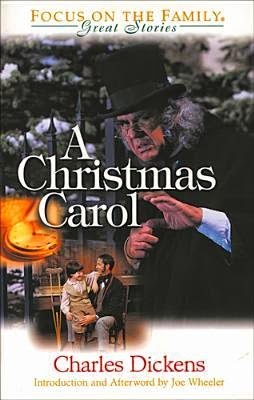 I have noticed and have grown tired of the MANY remakes of the movie "Scrooge", or I should use the proper name, "A Christmas Carol" by Charles Dickens because the characters' behavior are always the same. They are so mean, egotistical, and have the "me, me, complex". That is what I'm tired of watching and seeing in real people, too. So since it has been driving me a little crazy and I have not wanted to watch these movies. Instead, I pulled the book up on my Kindle to reread the actual story again. because the movies got me thinking about people and businesses (since Scrooge was a business owner with just one dedicated employee) and not only through the holiday season, but all through the year just how little time our employers do NOT give us for time off from work. Heck, most all companies don't give but ONE day off from New Year's day off until the end of May for Memorial Day! This needs to change! 5 MONTHS is a LONG HAUL for '1' day off! Can't Scrooge teach companies this ONE thing? The lessons the ghosts teach Scrooge, all about his own behavior, the way he treated people, never trusted anyone and the way he ran his business and most of all how terribly he treat his one employee, Bob Cratchit, is timeless and still holds true to today, yet the lessons learned in this story have long been forgotten, which is why this book is a classic. It never changes! Companies are the old Scrooge never giving ONE day off! Have they not read Scrooge? Scrooge did not like the way he acted in the past, nor did he like the way he acted in the current day when he was called out about it. Poor Bob Cratchit worked his behind off, never seeing his family very often at all. It was overtime which he was not paid for, and today overtime is paid for, but is it worth it to never have one day off from New Year's Day until Memorial Day? I know most employers act this way, and it's a shame! It's hard on the employee, especially! That is a full five months of straight working! No one can do that without needing at least one personal day! What do we do about our families and friends during that time? Ignore them? That IS what we HAVE to do. We don't have the time to spend with them except the weekends, but our weekends are spent doing the things we don't have time to do during the week. Grocery shopping, banking, bill paying, trying to spend more time with our own children. The list goes on! This book has ended up becoming an excellent one to model movies after, but is the true meaning of this story ever really thought about and acted on by regular people and our employers? My answer is a big, fat, NO. What a sad society we live in that we can't have a little more time than just work. Sure, time right now during the holidays is wonderful! Most of us just had a four day weekend, but not everyone. A LOT of people DID have to work Friday. I remember my mother cooking the huge meal for Thanksgiving, but feeling dead on Friday morning when she had to go into work the next day. The funny part about that was she worked in the health care industry! You would think they would be the first ones to realize their employees broke their necks to cook for family the day before, but they don't. Sure, we do charity, but it is after work and on the weekends, and do we 'really' do and give it all our heart, IF we do it at all? Imagine more people doing charity work! Oh, excuse me, we need TIME to do that! So most likely we do not do charity work because we just don't have the time. Most businesses don't allow us to participate in charity work during business hours, not even just a few hours, which I think is wrong. It is called giving back, right? Doesn't the same thing hold true for businesses as it does for people like us? Everything to a business comes down to the bottom dollar and how much higher they have increased it over the last 3 quarters, and then now, being the end of the year in the 4th quarter, and making sure they make the most money over the previous year. What does that get Scrooge and most businesses? Greediness and sadness. Sure, companies give money to charity, but it's a tax write-off. Do businesses allow their own employees to do charity work away from their place of employment during business hours? Heck no! That takes away time from their jobs when they should be working at their desks or stations and making or saving them money! Bob Cratchit's family had nothing. Despite how many hours he worked every week, they still barely had enough money to put food on their table or money to buy fabric to clothe themselves. I often wonder if they had had more money if there could have been anything done for his son's leg? (At the end of the story we find out they DID fix his leg. Why couldn't that have been done much sooner in this little boy's life and prior to Scrooge's renewed spirit?) Poor Bob's family didn't see him much, either due to Scrooge's demands he work late without extra pay. So what opened Scrooge's eyes? Marley's ghost who came to him to tell him he would be visited by three ghosts. Past, present and the future. All three of these ghosts did have an impact on Scrooge, and when he wakes up Christmas morning, Scrooge is a changed man for the better because he did not want to be the person he is in the future from what the ghost showed him would happen. Scrooge did not like what he saw of himself in past and present, and when the future came, same thing. He didn't like what he saw, but he did have the power to change things, so he did! I don't want to get preachy in the rest of this review, but I am kind of going to. There are many people around us who don't look to the future, and I hate to say this, but a lot of them seem to be our businesses and our youth of today. I also realized I would not always have my parents around, either, so I made sure to spend time with them, too, and I did lose my mother in September 2010. I miss her dearly. Some of those times I spent with family were the BEST I have ever had! Heck, the first four years of my daughters life I spent almost one day each weekend at both of their homes. Sometimes we would even spend the night quite a bit until my son was born, and it became very difficult to lug, pack and carry ALL of the 'baby stuff' I needed to care for him! You all know what babies need! LOL! By that point, both sides of our family came over to my house to visit to help make it easier on me. I again thank God for those times because today my mother has been gone now for what will be our fifth christmas. She passed away from pancreatic cancer in September of 2010. The one regret I have about her as she was dying is she would never talk about it. It was as if she was knew she was going to die, but felt if she talked about it it would come sooner rather than later? I'm guessing on that one. The unfortunate thing is there were so many things left unsaid and not worked out between my brother and I. I have since learned when you hear people say that mother's are the glue of the family and keep everyone together, they are correct. We have no longer had ONE family get-together since, other than my father's remarriage that I could not attend due to my husband having to work. He never did believe me. Heck, I haven't seen my father in two years now. He won't drive to my house because I live 'one' hour away from him. I live 41 miles away, which he has made into 51 miles, but Google it, and it IS 41 miles. We drove it many a time without a vehicle even made in this century! Who is the Scrooge here? Think of ALL the families that have heartache because they have thousands of miles between them and cannot spend special holidays together! I cannot drive due to having a very rare neurological muscle disease which causes severe muscle spasms, and there is no way I can sit behind that wheel without getting them, or even riding as a passenger, too. When I see our youth of today NEVER spending time with their family, it hurts me to see that. I think of my kids, too, and I wish they would spend more time with their family and extended family knowing what I know now. Next we have businesses who don't seem to hook the two together. Their employees have family and friends, too, and they would like the chance to spend time with them as well, especially during the holidays. Is it that we are such a society that ONLY puts value on "work" that people who run companies cannot see that beyond the end of their noses? Has anyone working in the top of the company ever read Scrooge? None of them seem to have learned that it is VITAL that employees get to have time off to spend with their families. Why is it today people and businesses cannot learn from A Christmas Carol to give people more time off to be with their family and friends? This CLASSIC written by Charles Dickens, just ONE of the classics that almost everyone has read or seen a movie about, has NOT made an impact on ALMOST ALL BUSINESSES besides the schools? People included, too. I have a person in my family who won't give me the time of day. I hate to admit it's a person very close to me. Will that person regret it after I am gone? I believe they will. A Christmas Carol is on of their favorite movies, but they haven't learned from it. Heck, most of us were forced to read it in High School. (I often wonder if when the boss is sitting at home if they EVER feel guilty that their employees have not been granted enough time over the holidays? That family and other people besides our coworkers have very important people in our lives, so shouldn't we be allotted a little more time with them instead of only two days over the holidays which happen only to be Christmas Day and New Year's Day? It goes without saying we did NOT learn from this story after all, or else many things would be different today. People would be able to spend time with both family and friends through all of the different holidays starting with Thanksgiving. People would ALL have that Friday after Thanksgiving off. Granted, there are some jobs that must be worked, but the majority of jobs do not have to be. Our society today, with the aid of computers, has become one capable of working around the clock 24/7, around the world, NEVER stopping. I know back in Dicken's day that thought was unfathomable! Think about time as it goes forward from today and ALL of the things that will happen that we can't even guess the world will be like! Will we look back at today and wish we were granted this luxury? Or am I one of the very 'few' who feels this is important? What I want to voice, and I hope some people and businesses today can hear this is to ask them to slow down and allow people who work for them to give them time, for their employees to be able to have more than the national holidays off to spend with their family and friends at least during SOME time of the year. Still, today, there are too many companies who the first year you are employed for them give you NO time off, and others who only allow ONE week of vacation the entire first year, or even one week off for the first five years at that employees job until they get another five days off making a total of two weeks of vacation! I feel some people need to wake up, too, and realize the importance of family and friends and realize they should spend time with them, just like Scrooge did. Usually it takes something severe for them to realize that friends and family are everything in life. There are too many people who don't visit their family, or their extended family and friends because they do not have the time. Time. Is this what it comes down to? Time, but time for employers, not the employees. Family and friendships lost or forgotten. People who are alone. People who have no friends left. So sad. If only . . . This is why we continue to see the movie Scrooge, or, officially, "A Christmas Carol", over and over and over, again, and again, and again. It needs to be replayed over and over. The next time I see this movie/book around or being played all of the time on TV or at community theaters, or knock-offs of this movie/book, I will NEVER TIRE OF IT! I now have a newfound respect for this classic! This book would make one heck of a great Book Club book to discuss! Did Dickens know that this would continue to happen if he didn't tell this story? Did he have the foresight to know that most of the time people do not change, and places of employment do not, either? I think he did, or else this story never would have been written. Dickens had a reason for writing this story, and I truly believe people and businesses he knew had a lot to do with it. I did a Google search to find out the 'real' publishing date for this novel, and found it was December 19th, 1843. Was this type of thing already going on back then, or was it just starting? Did Dickens feel not enough people treated each other as kindly as they should have been, especially families and businesses? Did Dickens think employees were not paid enough money for the amount of work they produced for other people, the 'higher-ups'? I will no longer be moaning and groaning that 'here is another one' because rereading this book has changed my life, again, but in a different way. Maybe it did this because I am much older than the first time I read it? It just feels like people and businesses STILL have not realized the importance to allow, or I should say the 'ability' to give their employees time off from work to be able to do this. In fact, most of America's businesses don't give people ample time for their employees to have any time with their families around holidays, at least not like they do in Canada, the UK and Europe. What is wrong with America, I ask? Some countries allow new mothers who have babies an entire YEAR to stay home and raise that child, and they get to return to the 'same' position. They even get PAID to stay home and raise that brand new baby! In Europe, some countries shut down for an entire month every summer so their employees can enjoy time spent with their families and friends in the nice weather. Other countries (and I'm not talking about 3rd world countries) know of this importance! They have happy employees! Heck, I would be! I just think it's wrong, in my opinion, to ONLY allow 2 days off during the holidays. After all, isn't that what this book addresses, to spend time that time with them? The classics. They hold true to today. This is their beauty! What I don't understand is with this story being a classic, and everyone knows this story and what the underlying message is, WHY do people continue to treat other people just as nasty as Scrooge did? (Yes, I know. Some people don't realize how they act. Shameful!) It never does seem to end, does it? Here we have a classic book that gives us the recipe of how not to act, yet certain people (and companies) still act this way! I'll never understand why because we are reminded every year. I can hope that one day we will pay more attention to the classics, and understand their good meanings, especially in the United States, and act upon them. Thanks for coming by again! Yes, this classic, A Christmas Carol by Charles Dickens should be read every year so we don't forget what this book teaches us. I would LOVE to interview Charles Dickens because even back when he wrote it in 1843, I think he had the foresight that this needed to be written so people wouldn't forget what this book teaches us. This book touches on a lot of different behaviors you wouldn't think people would have been like back then, but despite everything that has changed through the years, we are still human! Amazing! It's not Christmas without this book and what it teaches us, and if only everyone would act like with the good throughout the year - imagine that! Thanks for the compliment about my review! Great post! I love this movie and I need to reread it for the holiday season. It is just the thing to get me in the Christmas spirit. Yes! A Christmas Carol is the PERFECT book and movie to get us in the holiday spirit, I agree! Thanks for stopping by the blog at lauriehere.com and leaving this comment, sharing what gets you into the Christmas spirit! Looks like this does this to both of us! Books, the power they have to bring people together! LOVE it!